"I unreservedly recommend Josh & Lee Thomas from Stonewall Constructions. Over the past 3 years they have built 8 dry stone retaining walls for me with a minimum of fuss and a maximum of end result. 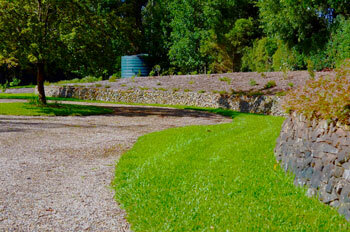 I now have the best dry stone walls in Bundanoon." 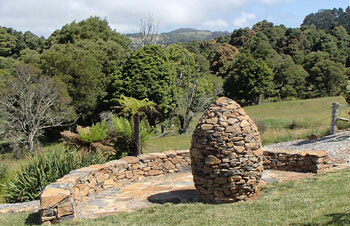 "Over a period of time J & J Stonewall Constructions have undertaken a number of stone constructions at our property ranging from a ha ha wall, an elevated garden surround, a retaining wall, a stone cairn and a piece the firm suggested that was inspired by the work of Andy Goldsworthy, a renowned British sculptor who produces site-specific sculpture and land art situated in natural and urban settings. The work has been remarkable both as to the ideas and the outcome. J & J Stonewall Constructions are outstanding artisans." 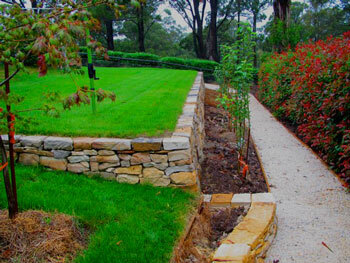 "Josh and Lee Thomas have built two entrance gates and adjacent stone walls as well as an extension to an existing retaining wall at our property. Their work is excellent and they completed the projects within the specified time and on budget. 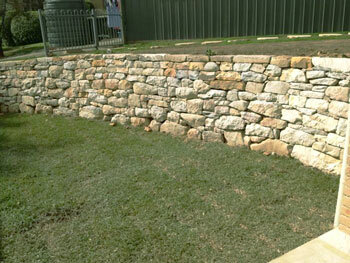 The retaining wall that they extended needed to match with the existing wall both in colour and weathered finish. To achieve this they went to considerable lengths to find the right match of stone and colour to achieve a perfect result. Their attention to detail is one of the hallmarks of their work ethic and this extends to all of their staff." "A short note to say how absolutely delighted we are with our new stone walls; they have transformed our new home from just another brick and steel building into something special. Your team were a pleasure to have around - they were courteous, friendly, punctual and in our observation you will never need to question their work ethic. Thank you for a job extremely well done. We will not hesitate to recommend J and J Stonewall Constructions."